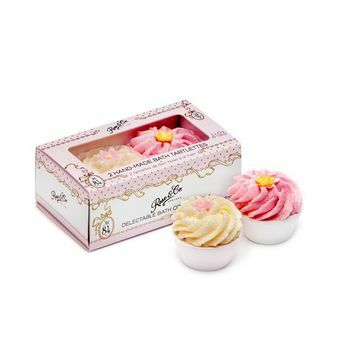 Rose & Co Bath Tartlettes are a unique combination of luxuriously nourishing Shea and Cocoa butters for soft skin and fizzing fragrance to soothe the soul. The signature scent of the No. 84 collection is inspired by classic rose with a modern twist. The scent is a complex blend of rose, tea, violet, jasmine, iris, powdery cedar, amber and musk - it is a delight for rose and non-rose lovers everywhere.